Humpty is on an adventure to race to the top. It’s up to you on how high he can go before he becomes into pieces that can’t be put together. 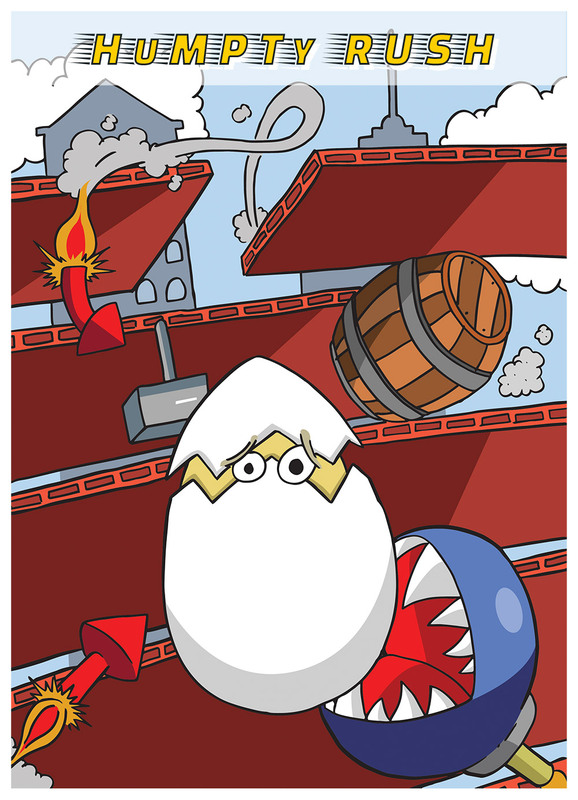 The game features a daring explorer - Humpty the Egg who jumps up through the holes, avoiding monsters. To increase the challenge, for every stage after the first, an obstacle - monster is added. If he misses a jump by smashing his head against the line - he becoming a scrambled egg and looses the life.